The family of the late member of the Federal House of Representative representing Lagelu / Akinyele Federal Constituency of Oyo State, Mr Temitope Olatoye Sugar has fired back at the police hierarchy to stop playing politics with the death of their breadwinner. 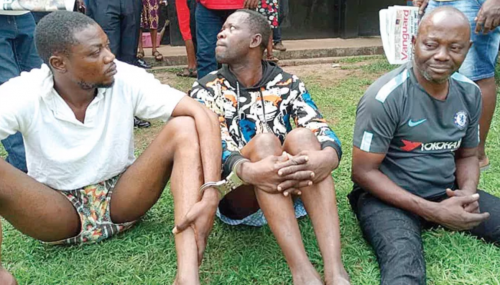 The family made the reaction in response to a media report credited to the Assistant Inspector General of Police (AIG) Zone 11, Leye Oyebade and the Oyo State Commissioner of Police Shina Olukolu where the duo claimed that the killing of the deceased lawmaker was not political. Speaking during a press conference at the Alakia, Ibadan family residence of the deceased parents, the first son of the family, Mr Olajide Oluwashina Olatoye popularly referred to as Big Daddy said he was at the scene of the incident and saw how the assailants, numbering over 50, ambushed his younger brother, raided his car with bullets before he was eventually killed. The Senior Olatoye said if he was at the scene of the event where his younger brother’s life was taken without been able to help and still remained silent on what transpired, nemesis will not forgive him. While thanking the police for been dutiful to fish out the perpetrators, Mr Olatoye pleaded with the government to ensure that the killers are brought to book to prevent a future recurrence. He expressed shock that a man who was killed on his way from an election venue and not from the market where he had gone shopping could be said not to be politically motivated. He said “I want to debunk the news been said by the AIG and Commissioner of Police in Oyo state that the killing of Sugar has nothing to do with politics, that it was just a murder case. No, it is not true. “With due respect, I think that statement has a political undertone. By the time they killed Sugar, was he in Oja’ba where he went to buy yam? Was it at Bodija where he went to buy beans? It was during the election and he was coming from where he went to perform his civic duties as a good citizen of the country and as a Federal legislative member. “So, his killing has much importance to politics. To us, it was a political murder. So, I am debunking the statement credited to the AIG, with due respect. The killing was obviously politically motivated. “For some reasons, I know those who killed my junior brother but for security reason, I will not say anything here. I am using this medium to thank the police that they have been trying with their investigation and trying to arrest the guys that did the job. “We are using this medium to say that, if they claim that the death has no political undertone, I am appealing to the APC government to stay clear of this case because the principal actors of those people that killed my brother did the same thing in 2007 to the late Honourabe Segun Oladimeji a.k.a Segelu but because he has the political backbone of late Baba Lamidi Adedibu. The killers killed my brother in the same town where they killed Segelu which is Lalupon and again this had happened. “We want justice to be done in other to prevent future occurrence. These are our great future and leaders that we are looking up to. I will say categorically that Sugar was the breadwinner of this Olatoye family and they have taken him away. What is now our gain? And if this is not curbed, they will still do it to other members of the family.